In this new digital age, consumers expect more innovative brand experiences that provide convenience and efficiency, combining a dynamic blend of digital and human service. As consumer expectation increase, retail banks and financial institutions’ must respond to acquire and retain customers and members. 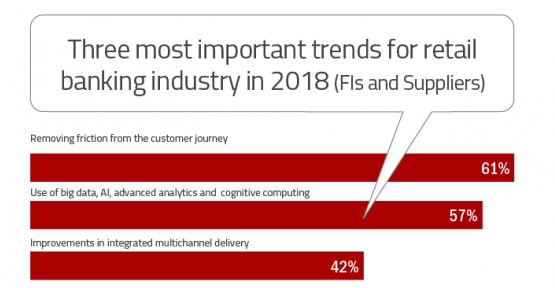 According to the “2018 Retail Banking Trends and Predictions” (Digital Banking Report), the three most important trends for retail banking industry in 2018 are improving the customer journey, building a seamless integration of channels and using data analytics to know more about each customer. With the increasing use of advanced technologies, analytics & user behaviour measurement techniques, including artificial intelligence (AI) and machine learning, there is a tremendous opportunity for retail banks to develop highly relevant, 1- to-1 tailored, real time offers, matching immediate consumer needs with best fit messaging and offers. A survey from consultancy GFT found eight in 10 UK retail banks recognise the importance of AI to their digital transformation projects and identified the second biggest benefit to customer engagement (64%). Whilst in retail banking ‘customer-centricity’ and ‘improving the customer experience’ have been top priorities for many years, most financial institutions have struggled to break down product silos or leverage internal data to deliver contextual and hyper relevant digital experiences to consumers. Today’s consumers get special treatment and great experience from companies like Netflix, Uber and Amazon, setting the benchmarks very high. Accenture found “48% of consumers expect specialized treatment for being a good customer” and “33% of those consumers who abandoned a relationship (did) so because personalization was lacking” (2017 Global Consumer Pulse Research). Only 22% of global consumers acknowledge that the companies they do business with tailor experiences based on their needs, preferences and past interactions. That is why basic personalization is no longer enough for retail banking consumers. 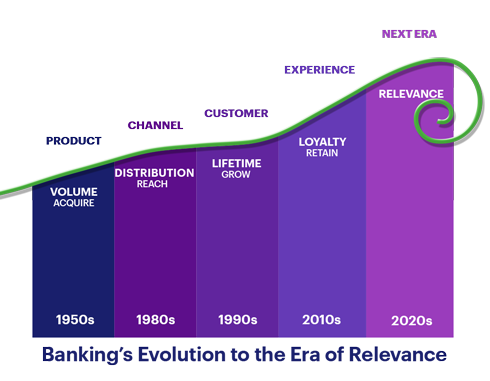 Going forward, real time, contextual, and hyper-relevant interactions are required for survival in a marketplace that is becoming more aggressive and where customers are more demanding. Traditional retail banking providers are now finding themselves exploring new technologies as a growing priority to enhance the customer experience and stay relevant in today’s competitive market. For example Citi has Innovation Labs dotted around the globe, whilst Portland US based Umpqua Holdings Corporation subsidiary Pivotus Ventures proclaims its ‘building banking for humans’. 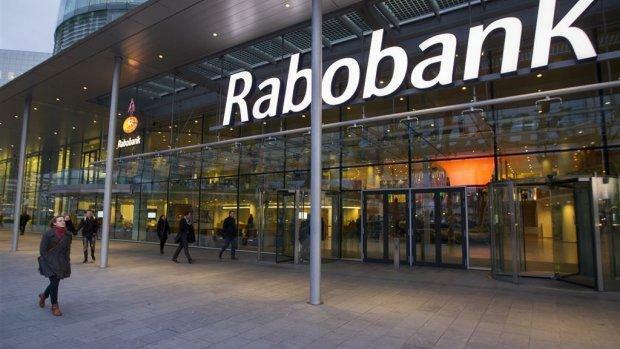 Rabobank is incubating its MyOrder venture separate from the core business in order to support continuous innovation. Away from the incumbents, fintech is vibrant with a raft of startups like Chime, Zero and Jiko looking to disrupt traditional banking. Meantime, Varo Money is a mobile banking offering with no fees for overdrafts, foreign transactions or minimum balance charges. The brand is looking to create a more cost-effective and consumer friendly platform targeted at Millenials, who value speed and simplicity. Knexus is a real time decision making engine using AI to optimize customer journeys, improving conversion and sales. The platform matches customer data with social/marketing content, delivering highly relevant experiences that smooth the path to decision making for customers. Knexus specialises in financial services, working with leading Retail Banking and Insurance brands.